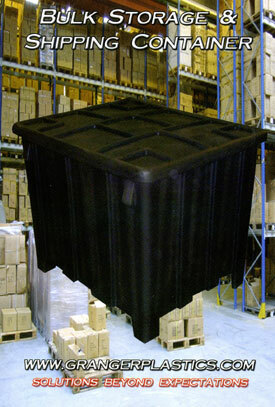 Virtually indestructible bulk storage or material handling solutions. 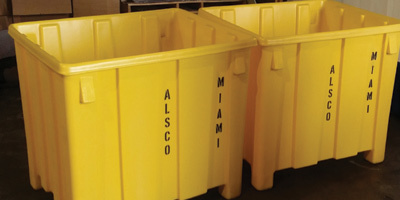 Reduce your dependence on disposable gaylord boxes and help make a concious environmental decision. 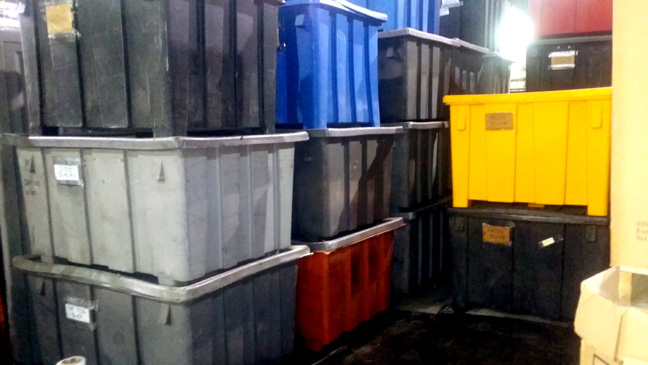 A growing number of industry leaders heavily utilize the Bulk Storage Containers by Granger Plastics as their leading bulk storage or material handling solution. Food Grade options meeting USDA/FDA specifications for food contact available! Many options and configurations available! 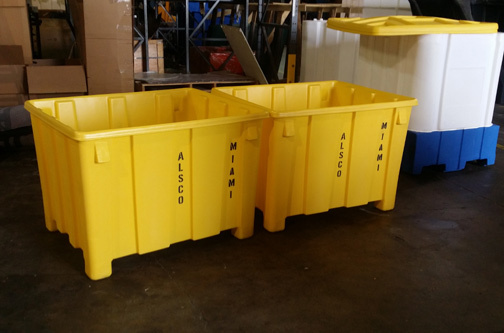 Innovative features and options that offer financial and environmental savings long term by eliminating cardboard gaylord boxes! 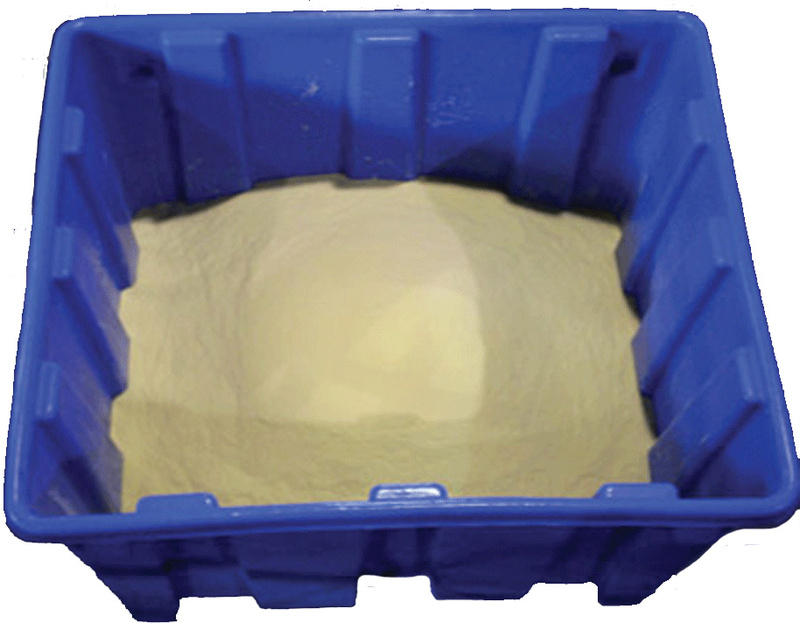 Allows containers to nest when empty, or stack with lids! 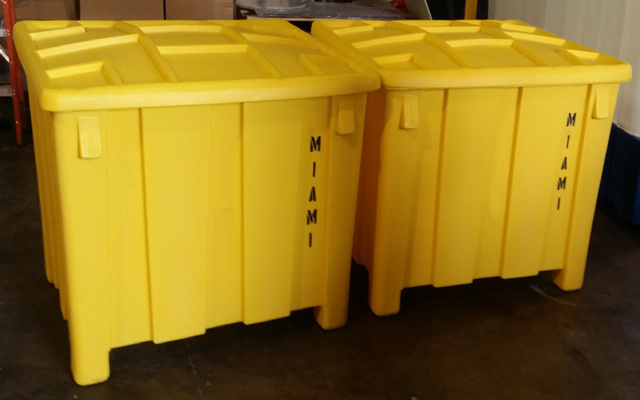 Eliminate messy, disposable cardboard boxes! 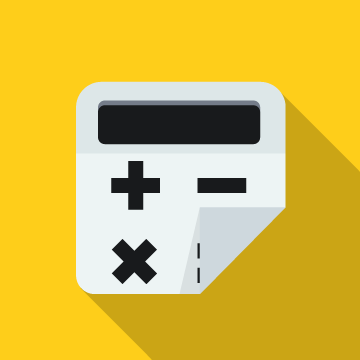 Options for dry goods, liquids, locks, indexing features & more! Reduce consumption of disposable cardboard boxes and gaylords. Help save a tree or two. 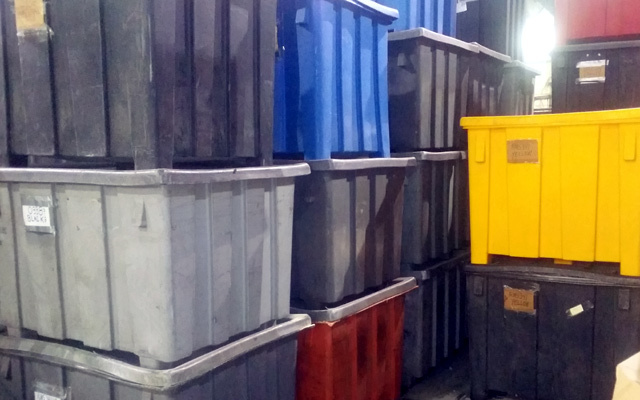 The bulk storage solution, offering four way easy forlk life or pallet jack access, nesting for easy storage or shipping (when empty) and stacks with lids when loaded or empty! 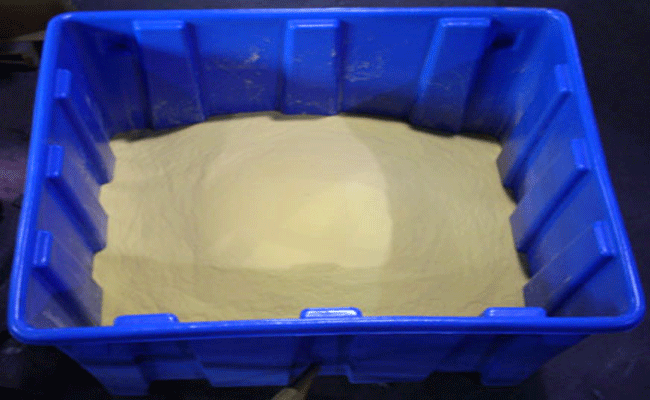 USDA/FDA food contact construction available! With a wide variety of colors available including custom color options! 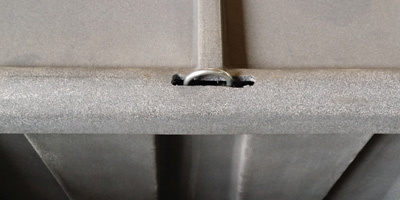 Custom features and options as well ranging from hasps for locks, support rings for liquid or dense bulk materials, drains, fittings, indexing attachments and more! 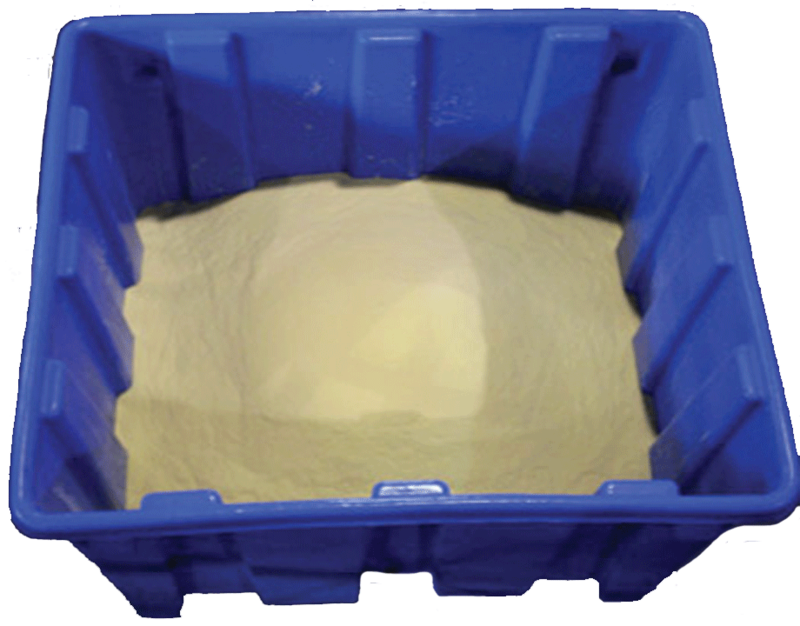 Food manufacturing, processing, storage and shipping options with the Bulk Storage Containers by Granger Plastics. 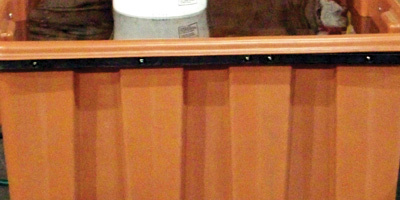 Available in USDA/FDA approved materials in a wide variety of colors. Stenciling available! 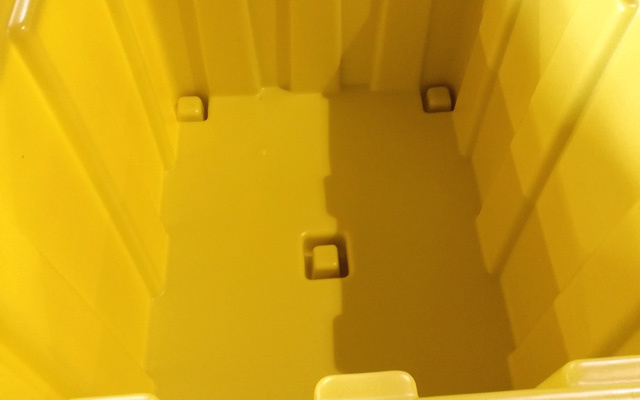 Bulk Storage Containers nest when empty for easy storage or shipment. 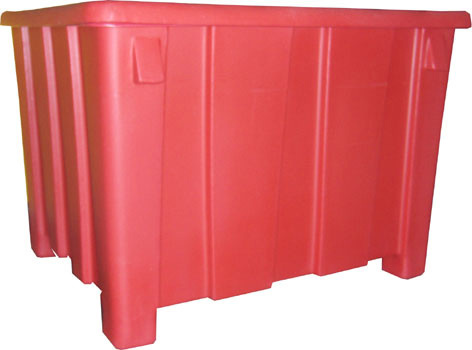 Stack up to 6 units high with lids on top for shipping in an enclosed van. 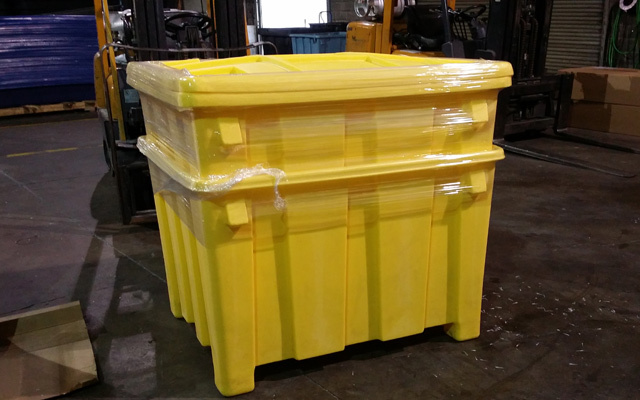 Heavy Duty Storage Container utilizing a powder coated steel support ring to support the use of liquids and extremely dense materials. 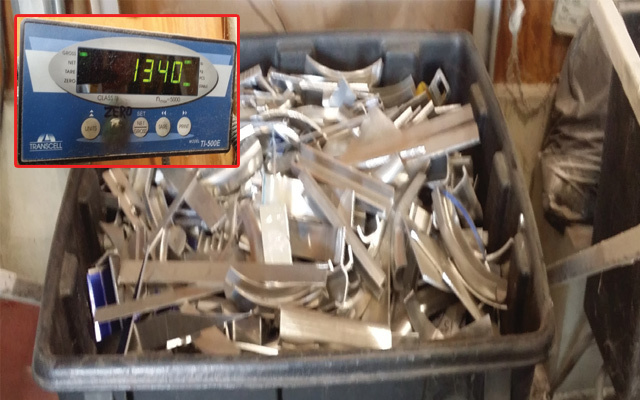 Custom stencil options allow for easy identification options to for sorting, storage, material identification and more. 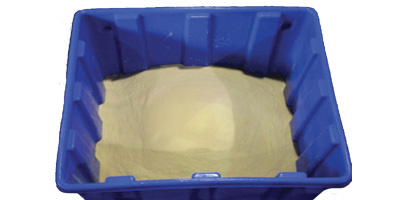 Commonly used in recycling and in industrial applications, the indexable fork options allow the bulk storage containers to be indexed or rotated over to dump the contents. 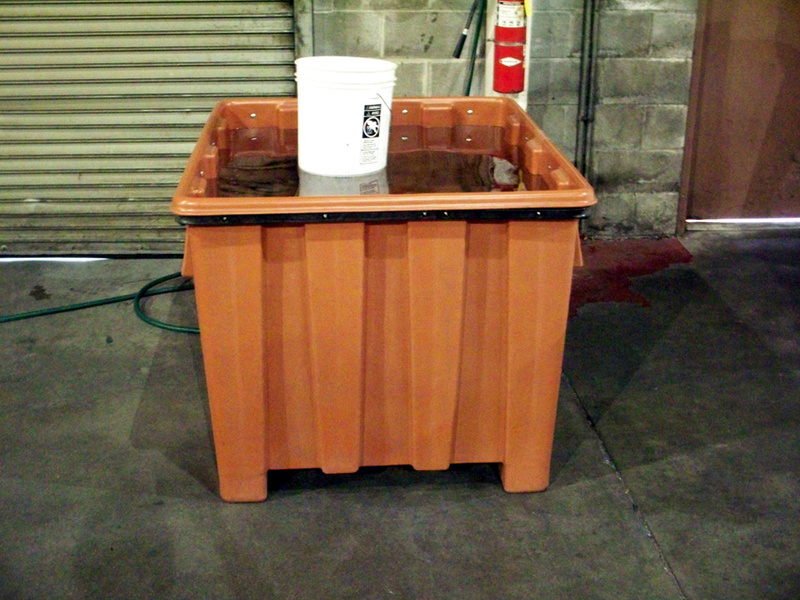 The Bulk Storage Containers can stack with lid for easy warehouse storage. 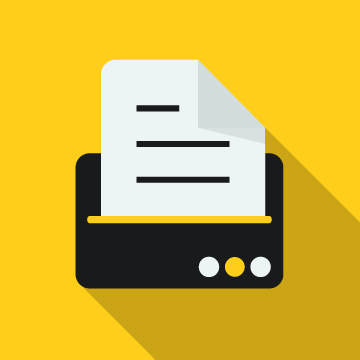 Commonly requested by document storage customers, document recycling or destruction company's!! 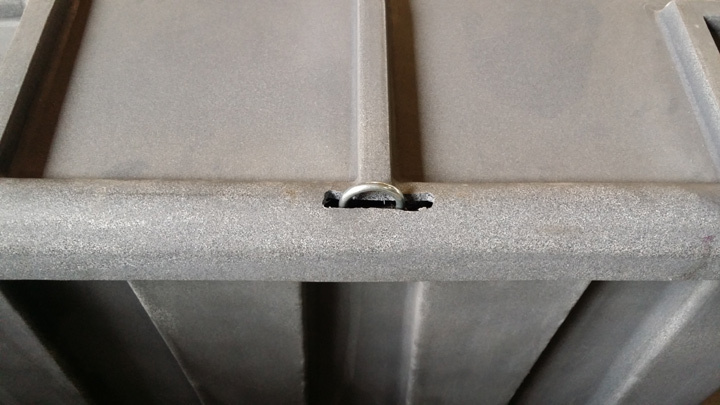 Hasps offer additional security by adding (2) or (4) hasps for secure locking of each container. 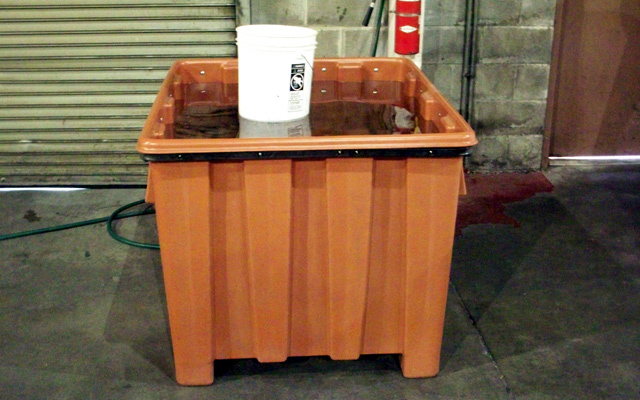 Durable, re-usable bulk storage container hails an industry leading storage capacity of 122 pounds! 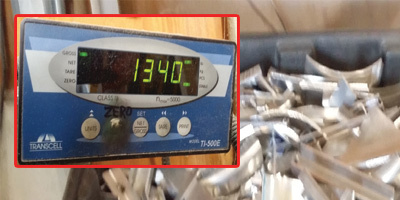 See the container pictured above handle more scrap aluminum than rated for! Please do not overload your containers! Tested by Professionals! 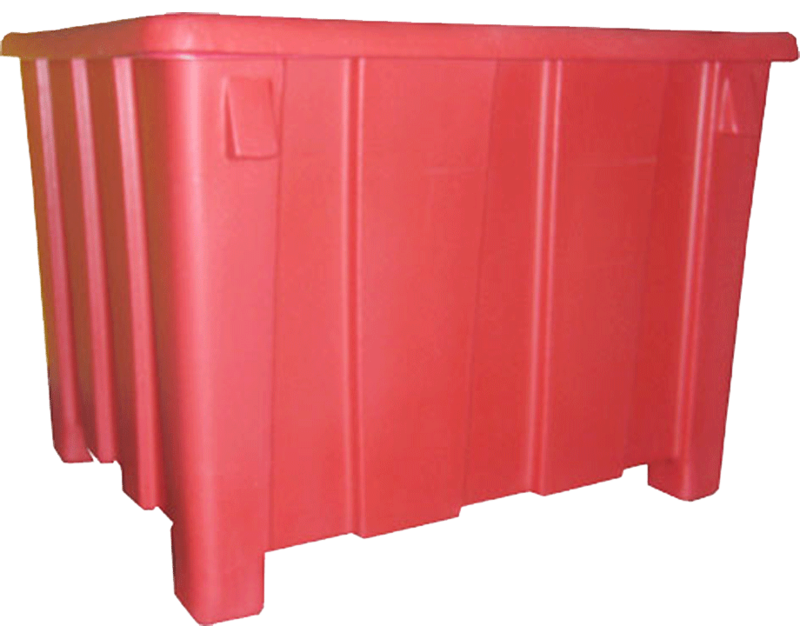 All of the Bulk Storage Containers feature a smooth interior to keep linens, uniforms and other materials safe from snags or sharp corners. 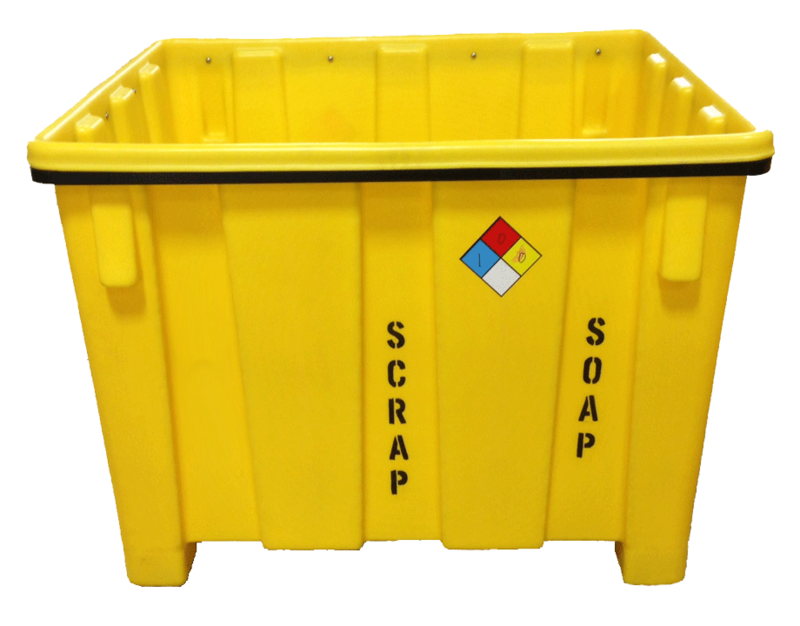 Food Grade, Security, Recycling Applications and more! We're looking to add a few good production employees! Learn more about Production Specialist opportunities at Granger Plastics Company and Granger Industries! Entry level and Specialist positions available! 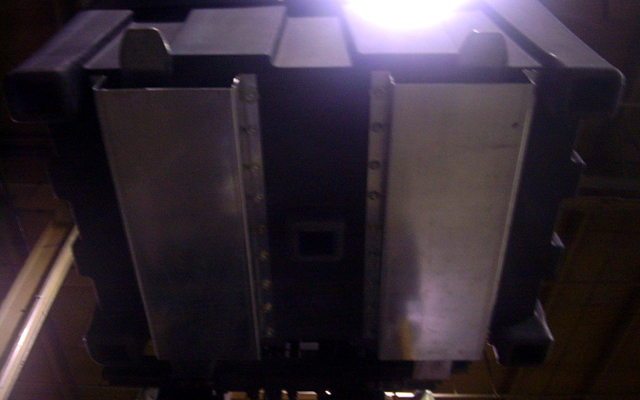 Start saving money and increasing material handling solutions. 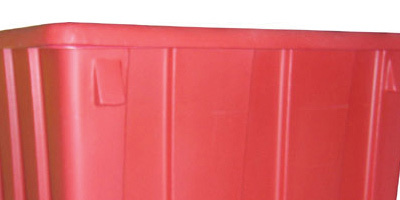 Buy Bulk Storage Containers Online! 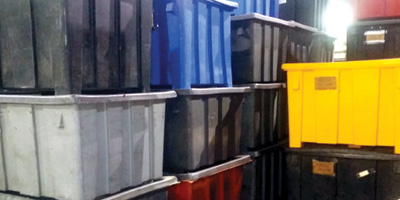 Long lasting, durable, re-usable bulk storage containers offer attractive pricing with leading options and features! As low as $240 ea. As low as $250 ea. As low as $375 ea. 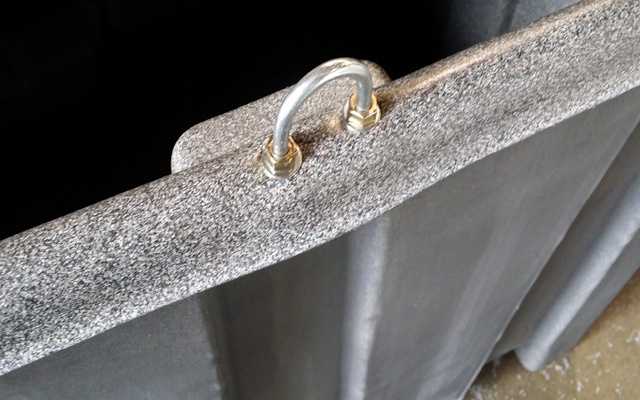 We Offer Custom Options. Contact Us For More Info. Sign up here for our company newsletter and updates. We never sell your info. Opt out at any time. 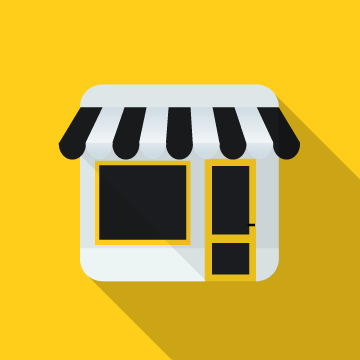 Have a question?, Want to place an order over email? Contact Us.